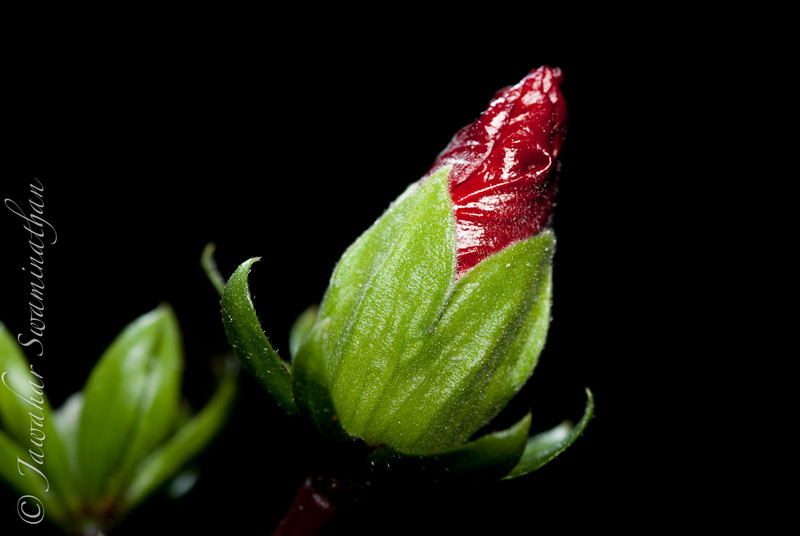 A hibiscus bud against a black background. 1/2500 f/7.1 ISO200. Flash used to underexpose background.